We know a decent amount of information about the upcoming Galaxy S9 and Galaxy S9+ by now, though we hadn't seen full press renders of either phone - that is, until now. 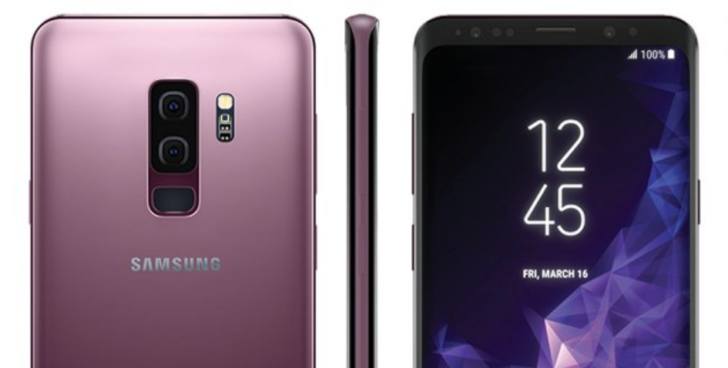 Evan Blass has just posted images of both the S9 and S9+ in an eye-catching Lilac Purple color. More interestingly than the color, the rumors of the single camera on the S9 and the dual cameras on the S9+ have been confirmed. We've been speculating about the S9-series' camera setups for some time now, what with their 'Super Speed' and 'Super Slow-mo' designations, as well as a mention of variable apertures. CAD renders from back in December showed off one camera on the S9 and two on the S9+, and those seem like they were fairly accurate (though they did omit the heart rate monitor below the flash). It'll be interesting to find out what the secondary sensor on the S9+ does; I'm personally hoping it's for wide-angle shots, but it could be for a zooming effect à la iPhone 7 Plus or something else entirely. Looks-wise, I'm of the opinion that the S8 and S8+ were easier on the eyes. The camera setup on the S9+ in particular is a little hard to look at, and it kind of reminds me of those long strips on the back of older phones like those in the LG Optimus series. The Lilac Purple is pretty, though I think last year's Orchid Grey is nicer. At least the fingerprint sensor will be easier to access. In case you hadn't noticed, the flash/heart rate monitor combo on the S9 and S9+ has moved to the right of the camera where the fingerprint sensor is on the S8/S8+. The button setup (Bixby and volume rocker on the left, power button on the right) remains unchanged. Even if the phones' backs have been made a little more unsightly, hopefully the numerous improvements to the whole camera system will make that worthwhile. Speaking of sight, Intelligent Scan should handle upgrades in security, though it'll probably be used less now that the fingerprint sensor is more easily reached.